Get wholesale pricing PLUS two coupons worth more than the cost of renewing! Renewing as a consultant each year keeps your account active and current! You can renew anytime during the calendar year, but, if you renew now, you will get these bonuses that you won’t want to miss. Qualify to attend refresher training for any training you have previously attended at the refresher rate. Ongoing access to answer keys for PowerPoint training presentations (located in the consultant-only area of the website). BONUS COUPON #2: Get a FREE Leadership Discovery Report when you buy one in our online store (two for the price of one). Access to consultant-only resources on the website. Be the first to hear about new products before they are announced or promoted to the general public! Get access Dr. Rohm’s webinar series “Rohming with Dr. Rohm!” The webinars are archived in the “consultant-only area” of the website, and you will have access to those resources that cover a wide range of topics. Access to Dr. Rohm’s Video Life Tip Bonus Sessions which are video segments recorded just for consultants only. These special videos are not available to the general public. 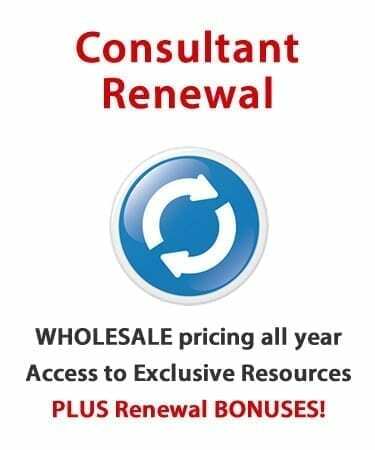 All consultants need to renew for 2018 in order to have wholesale pricing and the other benefits listed here. Non-renewed consultants will not have access to wholesale pricing or the consultant only area of the website that would include consultant-only products, archived webinars, presentation answer keys etc. Did you already renew for 2018? If so, then you do not need to renew now and you are all set. Did you attend any Personality Insights certification training between October 1 – December 31, 2017? If so, then you do not need to renew now and you are all set. Discount coupons will be available to use anytime through the end of 2018 in our online store when you make a purchase using your consultant log-in credentials. The coupons can not be exchanged for products, used for cash value or be given to non-consultants to use. In other words, they are for you to use in the online store anytime before 12/31/2018. Discount coupons may not be used to purchase branded profiles or other items not located in Personality Insights’ online store. I agree to use Personality Insights, Inc. resources in accordance with all applicable copyright laws. I agree to not represent myself as an employee or official agent of Personality Insights, Inc. I agree that I may represent myself as working “in association with Personality Insights, Inc.” and thereby will conduct myself with high ethical standards. I agree to continue to uphold any code of conduct policy that has previously been established with me in conjunction with training that I have received by Personality Insights, Inc. in the past. I acknowledge that DiscoveryReport.com with all of its related content and services are the intellectual property of Personality Insights, Inc.
Ready to renew? Just click the “Add to Cart” button at the top of this page.